UPDATED – VATICAN CITY (CNS) — More than 500 boys suffered abuse at the hands of dozens of teachers and priests at the school that trains the prestigious boys choir of the Regensburg Cathedral in Germany, said an independent investigator. Former students of the Domspatzen choir reported that the physical, emotional and even sexual abuse at the school made life there like “a prison, hell and a concentration camp,” said Ulrich Weber, the lawyer leading the investigation of claims of abuse at the choir and two associated boarding schools. A “culture of silence” among church leaders and members allowed such abuse to continue for decades, Weber said as he presented the final report on his findings during a news conference in Regensburg July 18. In the report, Weber sharply criticized Cardinal Gerhard Muller, who was bishop of Regensburg from 2002 until 2012, when Pope Benedict appointed him to head the Vatican’s Congregation for the Doctrine of the Faith. Then-Bishop Muller had “a clear responsibility” in the “strategic, organizational and communication weaknesses” that marked the process he launched of reviewing allegations. Cardinal Muller had ordered the creation of a commission to investigate and search through diocesan archives in the wake of the 2010 abuse crisis. But in an interview with TV2000, the satellite television station owned by the Italian bishops’ conference, Cardinal Muller denied he had not done enough as bishop of Regensburg. “I launched the process of investigation” when abuse claims increasingly emerged in 2010, he said in the interview, which aired July 20. Time, resources and assistance were dedicated to “offering justice to victims,” he said, and he personally set up a team of experts and appealed to victims to come forward. “Perhaps there were rumors, but they never reached the diocese,” the cardinal said. “It was only after the new bishop of Regensburg, Rudolf Voderholzer, realized that there was much more to all this than met the eye when things began to get better. Starting in 2015, he personally wanted to cooperate with us,” Probst said. 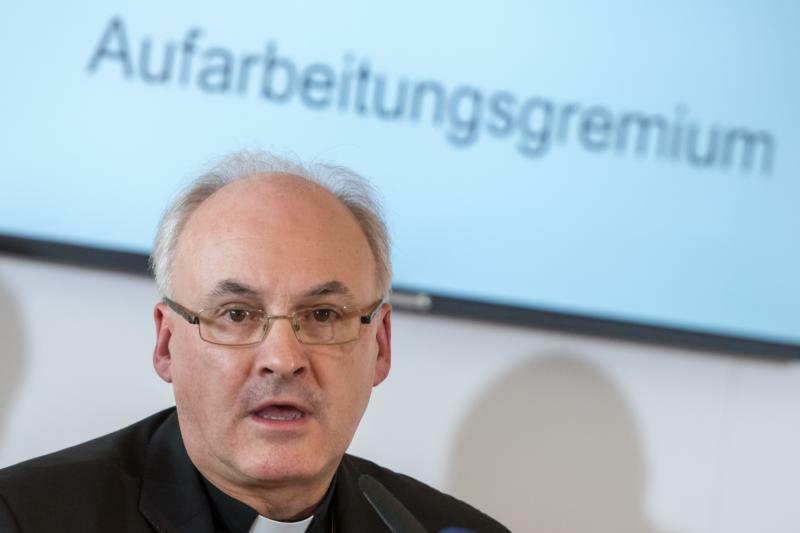 Widespread news of the suspected abuse first emerged in 2010 as religious orders and bishops’ conferences in Germany, Austria and the Netherlands were faced with a flood new allegations of the sexual abuse of children, mainly at Catholic schools. The boys’ choir had been led between 1964 and 1994 by Msgr. Georg Ratzinger, the older brother of retired Pope Benedict XVI. “There was never any talk of sexual abuse problems, and I had no idea that molestation was taking place,” the priest said, as he recalled his 30 years as the school’s choirmaster. “If I’d known the exaggerated vehemence with which the director acted, I would have reacted,” he said in the 2010 interview. Msgr. Michael Fuchs, diocesan vicar general, described Msgr. Ratzinger as a “passionate musician, priest and pedagogue” and an “emotional person,” who had personally regretted slapping pupils during his 30 years as the school’s choirmaster and apologized to Domspatzen victims. “I have no information to suggest his account, expressed many times, needs to be revised,” Msgr. Fuchs told the news conference. It is only now that the facts have become “plain, in the light of day” because of establishing and cooperating with a professional, independent investigation, he said.